Cosby Juror Speaks Of Pacing, Crying, Frustration During 52 Hours Of Deliberations Bobby Dugan, 21, says that he pushed the jury to convict Bill Cosby on two of three charges and that it was dispiriting to leave the case unresolved after so much deliberation. Bill Cosby exits the Montgomery County Courthouse after a mistrial was declared in his sexual assault case earlier this month in Norristown, Pa. Note: This story contains a description of the alleged sexual assault at the center of the case. A juror in the criminal trial of Bill Cosby says testimony from a second woman who said she was drugged and sexually assaulted by Cosby did not weigh heavily on the panel's 52 hours of deliberations. That statement comes in spite of prosecutors' hope that hearing from an additional accuser would have shown jurors that Cosby had a pattern of behavior. What's more, the juror said in an interview Monday with WHYY that had the group of seven men and five women heard from even more accuser witnesses, the jury would still have deadlocked on whether accuser Andrea Constand's story was trustworthy. Juror Bobby Dugan, 21, of Pittsburgh, said that prior to the trial, he had known about some of Cosby's accusers going public, yet he did not form any judgments about Cosby's guilt or innocence. "Two years ago, I heard something about it, but I thought it was all said and done. When I was called in, it was kind of a shock," Dugan said. When Dugan listened in court to what Cosby said in a 2005 civil deposition, he was convinced that Cosby should be convicted. "When he said it himself. He was asked, 'Would you use the word consent?' and he said, 'I wouldn't use that word,' " Dugan said. "That was convincing." In the deposition, Cosby had said he went "somewhere between permission and rejection," saying he never verbally asked Constand for consent during some of their sexual encounters. Time went on and on. People would get more stressed, frustrated. ... I'd say things got heated. "In my opinion, consent is a verbal agreement, and that's the way it should be, and that's the way it always has been. It's a verbal agreement. If there is no verbal agreement, then there is no consent," Dugan said. 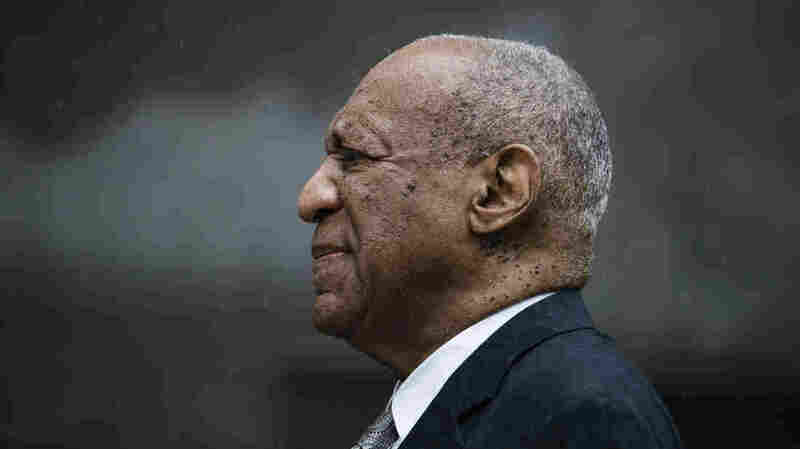 Dugan said he pushed the jury to convict Cosby of two of the three charges of aggravated indecent assault, each of which carried the maximum possible punishment of 10 years in prison in Pennsylvania. "Guilty for a lack of consent. Not guilty that she was unconscious, and then, guilty for the drugging," Dugan said. In the narrative that Constand gave of her 2004 night at Cosby's suburban Philadelphia mansion, the charge connecting to her being unconscious was the flimsiest, he said. The debate among jurors about her state of awareness during the alleged assault made him believe that it was too doubtful to convict on that count. "She woke up to being digitally penetrated but went back to sleep," Dugan said. "I didn't believe that a sudden jolt to the system would let her fall back to sleep right away." But others in the room wanted to acquit Cosby of all three counts. It got emotional. He saw four jurors crying near the end of deliberations, while another paced around restlessly. "Time went on and on. People would get more stressed, frustrated. They just wanted to go back home, see their family, go back to their normal lives. So, I'd say things got heated," Dugan said. "But nothing too serious. It was a raised voice here, not yelling, just a raised voice, and everyone eventually calmed back down. But it was tense, to say the least." He would not discuss the final vote count, and there have been conflicting reports. One juror who spoke out publicly to ABC News said that it was 10-2 in favor of convicting Cosby; another report from the Associated Press quoted a juror saying the panel was evenly split. Before the WHYY interview, Dugan shared his views on camera Monday with Good Morning America. Dugan said it was dispiriting to leave the case unresolved after so much deliberation. The jury in Cosby's next trial, he hopes, will decide on a unanimous verdict. "She had a story," Dugan said of Constand's more than seven hours on the stand. "And she wanted to get it out there." Growing up, Dugan said he would sometimes catch reruns of The Cosby Show, but he never harbored strong opinions about the comedian. Prosecutors have vowed to push ahead for a second trial of the 79-year-old comedian who left the courtroom with the first criminal charges filed against him in limbo after six days of intense juror deliberations that ended in a mistrial. A major question ahead of the new trial is whether prosecutors will attempt to reopen the issue of bringing in additional "prior bad act" witnesses. The judge presiding over the Cosby case agreed to allow one accuser in addition to Constand, who says she was drugged and molested by Cosby in 2004. Prosecutors had hoped to call 13 other accusers of Cosby. Some court watchers have speculated that if the judge approved more than just one, perhaps a verdict would have been reached. Dugan, however, doesn't believe that. Dugan said the tearful testimony of Kelly Johnson, who says Cosby assaulted her in the 1990s at a Los Angeles bungalow after having swallowed a large white pill, was not pivotal to the jury. Although similar to Constand's account, the story was unrelated to the criminal charges, and thus did not become the subject of much juror debate. "We were there for Andrea Constand, not Kelly Johnson," Dugan said.